Last night was a difficult one for Colorado Republicans, many of whom were swept up in a Democratic wave year. 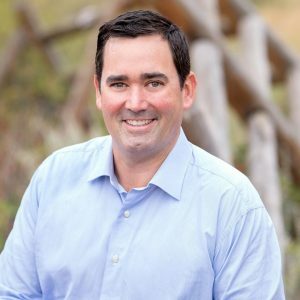 One of the very best of the bunch was Colorado State Treasurer Walker Stapleton, the Republican nominee for Governor. Despite raising more money than any non-incumbent gubernatorial candidate in Colorado history, Stapleton simply couldn’t keep pace with the bottomless pockets of Governor-elect Jared Polis, who spent upwards of $25 million to purchase the Governor’s mansion. That’s not on Stapleton. Colorado has been lucky to have Stapleton as our Chief Financial Officer over the past eight years. Under his leadership, PERA finally realized it had a problem with the improbable promises it makes to future retirees. County treasurers have a closer working relationship with the state office than ever before. And all of those tax-increasing ballot initiatives that extreme liberals have put on our ballots this decade? Walker spearheaded efforts to defeat many of them, and you guessed it: he helped beat them all, protecting Coloradans from billions of dollars in hikes. But Walker’s greatest attribute isn’t defending our wallets, but what a generous and thoughtful leader he was. Colorado voters didn’t get to know him fully – partially because he never felt the need to publicize it. For example, according to friends, Stapleton has covered people’s health care bills when they were a dollar short. He has supported friends as they fought addiction. He has given untold sums of money to charitable organizations across the state. Stapleton is the kind of leader we continue to lament that we don’t have. We had the chance to elect a great candidate. The voters chose differently. Instead, they chose someone who has literally bought every office he has ever held and has the temperament of a spoiled child. We could have done better, but we didn’t. That’s on us as a state.